Last week, on July 27, 2011 the world celebrated the 90th anniversary of the discovery of insulin by Banting and Best. I recently read the book Breakthrough: Elizabeth Hughes, the Discovery of Insulin, and the Making of a Medical Miracle by Thea Cooper and Arthur Ainsberg. I thought it was going to be one of those books that I should read that I would have to plod through like a boring text book on the history of medicine. But I have to say it was quite captivating! 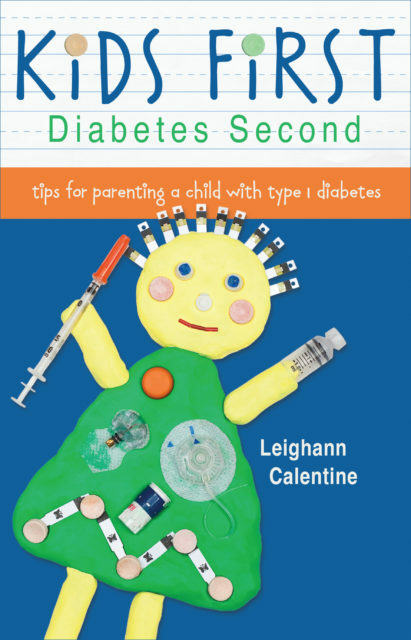 The book tells the story of Banting, a Canadian who had a crazy epiphany about the pancreas in relation to diabetes. Even crazier, he thought he could just walk right into a university and demand funding for his research! Through persistence, he was able to obtain labspace, animals, and assistants and began his long work on figuring out how to isolate the substance needed to “cure” diabetes. I say “cure” because in the early 1900’s, and before, diabetes was a death sentence. Though some people were put on starvation diets that might prolong their lives, death was inevitable. A discovery that would let people live was in essence a cure. I also find it interesting that today our definition of the “cure” for diabetes is drastically different and opinions on what constitutes a cure varies even between people. You may wonder why the story focuses on one particular child when there were several patients who received Banting and Best’s insulin once it was isolated and they were able to produce it (with the aid of Eli Lilly). Elizabeth Hughes was not just another child stricken with diabetes, she was the child of a very important and wealthy businessman and politician, Charles Evans Hughes. It was Mr. Hughes need to keep his daughter alive that helped propel the discovery and distribution of insulin. 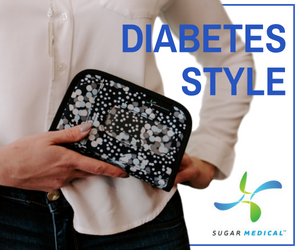 The lives we live managing our children’s diabetes is similar in that we count, weigh, and measure food, schedule meals, test blood sugars, and urine (for ketones as needed). 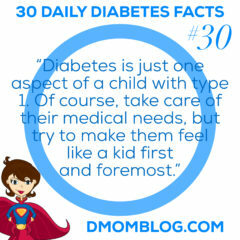 The routine care of a child with diabetes hasn’t changed all that much in the past ninety years. Even if the technology and tools of the trade have improved, what diabetes management requires has essentially stayed the same. 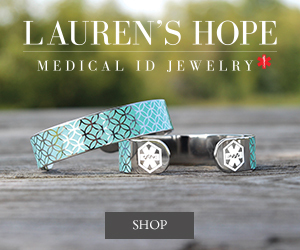 “Surely there is someone somewhere working on a cure,” Hughes said. I have heard over and over that parents are told at diagnosis that a cure is on the horizon, a mere “10 years away.” We were not told that, rather were told that a cure could come in our child’s lifetime but that the tools for management are rapidly improving. We haven’t escaped this in 2011! 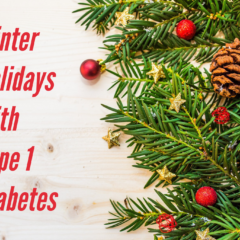 How many times do you see magazines in the checkout line touting a “cure for diabetes?” Have you seen the big bottles of cinnamon nestled between blood glucose strips, lancets, and glucose tablets on the shelves at the pharmacy? Haven’t you read that certain celebrities have cured themselves and are no longer dependent on insulin? I see so many of the children that I have gotten to know through their parents online in Elizabeth. I see my daughter’s strong spirit in her. 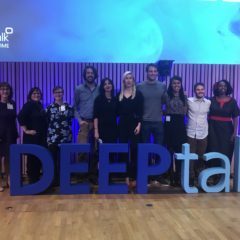 I see it when these modern D-Kids change their insulin pump by themselves for the first time, learn to count carbs, raise awareness and money, and exclaim that they can do this and you can too! Our children have the benefit of modern medicine, current technology, and 90 years of fine tuning the only treatment available to people with diabetes: insulin. Our children, like Elizabeth, will grow up to be whoever and whatever they want to be and nothing can stop them…not even diabetes! “It is 1919 and Elizabeth Hughes, the eleven-year-old daughter of America’s most-distinguished jurist and politician, Charles Evans Hughes, has been diagnosed with juvenile diabetes. It is essentially a death sentence. The only accepted form of treatment – starvation – whittles her down to forty-five pounds skin and bones. Miles away, Canadian researchers Frederick Banting and Charles Best manage to identify and purify insulin from animal pancreases – a miracle soon marred by scientific jealousy, intense business competition and fistfights. In a race against time and a ravaging disease, Elizabeth becomes one of the first diabetics to receive insulin injections – all while its discoverers and a little known pharmaceutical company struggle to make it available to the rest of the world. Purchase Breakthrough from my affiliate Amazon . I got this book a few months ago. Excellent! Sounds like an amazing story! I’m gonna have to pick this one up I think. what a wonderful story of the beginnings of the treatment that saves the lives of our children. I hadn’t seen this book, but I read the excerpt on Amazon, and I set out to find it. My library system doesn’t have a copy, but I found a new paperback copy on alibris.com for $3.95. If you use the coupon code salinger, you save an extra $1. I’ll be looking for my copy in the mail. Thanks for the book recommendation! BTW, I know what you mean about trying to like books you should like. 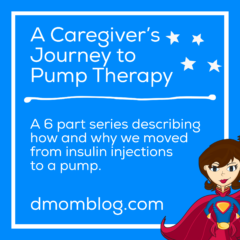 I felt that way about Pumping Insulin. After several attempts, I finally donated it to our local library.